So, every day I wander around the internet a bit, checking it out. It eases me in to my work day. Today, I found something extraordinary. 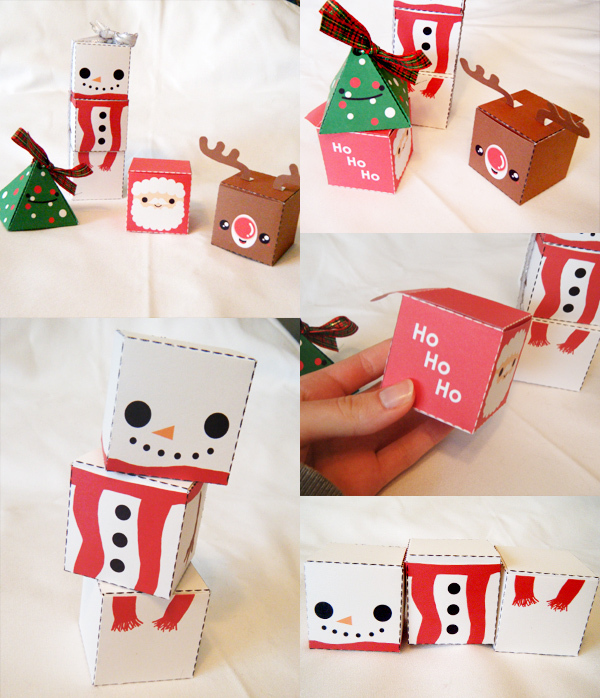 These SO cute mini gift boxes from Soupcomplex on DeviantART! They are very simple in their construction, (The same box I used in the Halloween Countdown) but the result is amazing. The 3 tiered snowman is by far my favorite, it has so much visual impact. These are a great idea for all the little kids in my family- as I can see them playing with the boxes long after the candy treat is gone. That’s it. I’m too excited. Can it be Christmas already?